These people do not make it to the cocktail receptions of regional officials, neither into the meeting agenda of government ministers or priority points of Barents action programs. Civil society is in danger of being sidelined in regional cross-border cooperation. «Like so many other organisations which have their own distinct opinions, their own voices, we are seen as bothersome and undesired,» says Anastasia Kochneva. She is leader of Aetas, the environmental organisation which for almost two decades has engaged locals in Arkhangelsk, the northern Russian city, in a wide range of eco-efforts. Over the years, projects have been abundant; planting of trees, offering training programs on environmental protection, organising summer schools for kids with focus on alternative energy and climate change. Recently, the organisation has been involved in a project on how to make the small local village of Tarasovskaya fully powered by alternative energy. Cooperation with neighbouring Norway has been close and comprehensive since the start. For years, it was enriching for both parts. But in the end, it was to make the Russian organisation capsize. On September 1 this year, Aetas was declared a «foreign agent», and serious trouble began. «It did not come as a surprise», says Anastasia Kochneva. «We were expecting the control from the authorities». Aetas is not alone. In the Russian part of the Barents region there are now ten NGOs on Russia’s list of so-called «foreign agents». In all of Russia the number organisations with the unflattering status is more than 150. They have all received foreign grants and engaged in what the Justice Ministry calls «political activity». For Aetas, it is the end. The organisation is closing down. «Status as foreign agent is very difficult to live with, there are major inspections and big fines for insufficient reporting. Therefore we have decided to liquidate, we are in the process now,» says Kochneva. Status as foreign agent is very difficult to live with, there are major inspections and big fines for insufficient reporting. Therefore we have decided to liquidate, we are in the process now. However, the Arkhangelsk eco-activisms will not die. Kochneva and her colleagues are working with the formation of a new movement, but it will not carry the name Aetas. And they are not leaving without a fight. 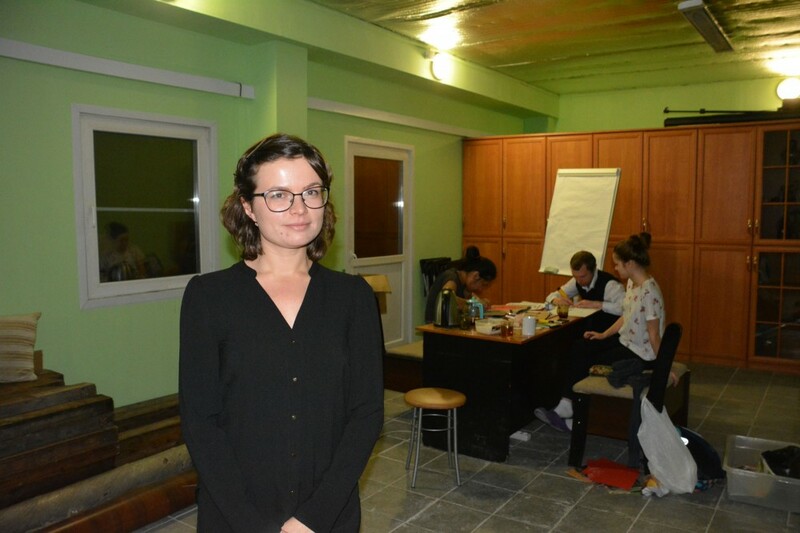 Last week, a local court gave Aetas a 150,000 rubles (€2,200) fine for refusing to voluntarily register as foreign agents. «It is exhausting, we are running out of power,» the young leader says. 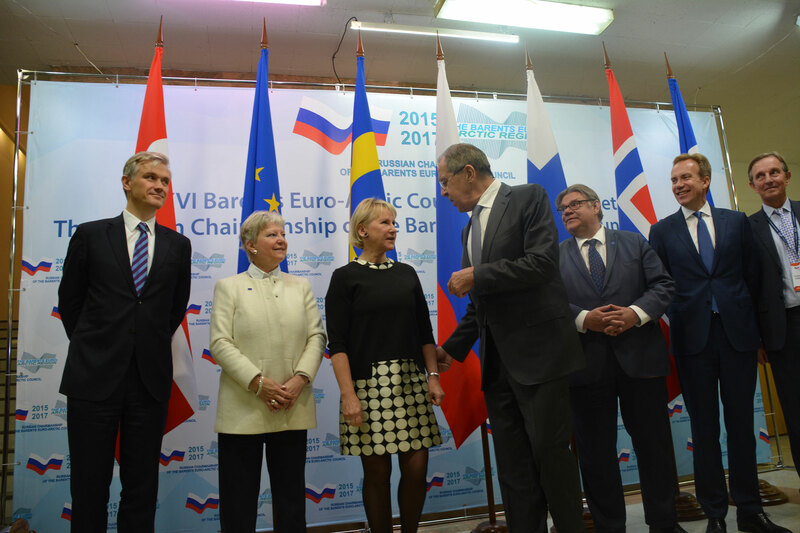 Since the early 1990s, Norway has allocated millions of euros for cross-border cooperation between northern Norwegian and Russian entities. Several thousand project grants have been offered to stakeholders all over the region. But cooperation has all become much more difficult. The number of projects which include NGOs has plummeted and civil society activists are now almost non-existent in the lists of Barents grant recipients. According to Anastasia Kochneva, it is a shame that for example the Mayor of Arkhangelsk legally can get a Norwegian project grant for cooperation with friendship towns in Norway, while similar grants for NGOs are illegal. «These are double standards, it is unfair». It is a shame that for example the Mayor of Arkhangelsk legally can get a Norwegian project grant for cooperation with friendship towns in Norway, while similar grants for NGOs are illegal. 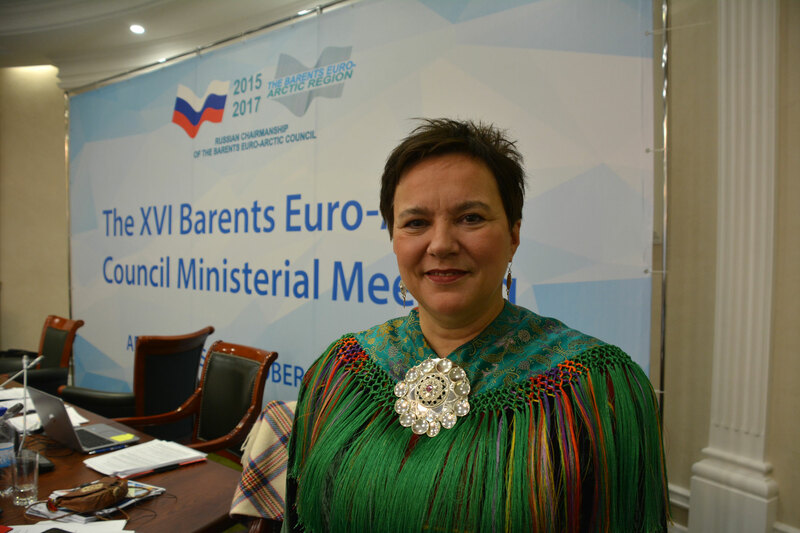 The Barents Observer meets Anastasia Kochneva and Aetas as foreign ministers from Finland, Norway, Sweden and Russia are coming to Arkhangelsk to take part in the bi-annual Barents Euro-Arctic Council summit. Along with them are regional leaders from the countries’ 14 northern regions. It is the zenith of the Barents political cooperation. But attention to the increasingly strained civil society in the region is sparse. A draft new Barents Program, a document outlining priorities for regional cooperation in the upcoming period, hardly mentions civil society. When asked by the Barents Observer, new chair of the Barents Regional Council, the joint body of the 14 regions, confirms that civil society organisations has not been on agenda. «We are not against it, we just have not said anything about how to deal with it», says Ragnhild Wassvik, the Finnmark County politician that will head the cross-border council for the next two years. On the inter-governmental level, awareness might be higher. Swedish Foreign Minister Margot Wallstöm did meet with civil society representatives during her stay in Arkhangelsk. And in a comment to the Barents Observer she criticised Russia’s NGO laws. «The NGOs play a crucial role, because they do a practical work on the ground, and therefore we have been open about our criticism of the Russian NGO legislation which restricts the organisations’ possibility to work and operate», Wallström said. But none of the other foreign ministers, nor any of the many regional government leaders, followed Wallström’s example. Norway’s outgoing minister Børge Brende told the Barents Observer that he «did not have time» and that «he met with NGOs the last time». When Brende visited Arkhangelsk in March this year, he took part in the roundtable discussion Talking Barents. Open discussion about the Barents Cooperation, an event organized by his ministry’s Barents grants administrators. However, symtomatically, no civil society representative was in the panel. The joint declaration of the BEAC summit does bring some hope, though. In one of the first paragraphs it states that the Council «underlines the importance of civil society cooperation». In another paragraph, the document highlights «respect for democratic values, non-discrimination, gender equality and the rights of indigenous peoples and other minorities». It might be seen as a positive signal by the NGOs. But there is a long way to go. Down the road from the offices of Aetas is another civil society group, which over the last years has been a subject of Russian government clampdown. 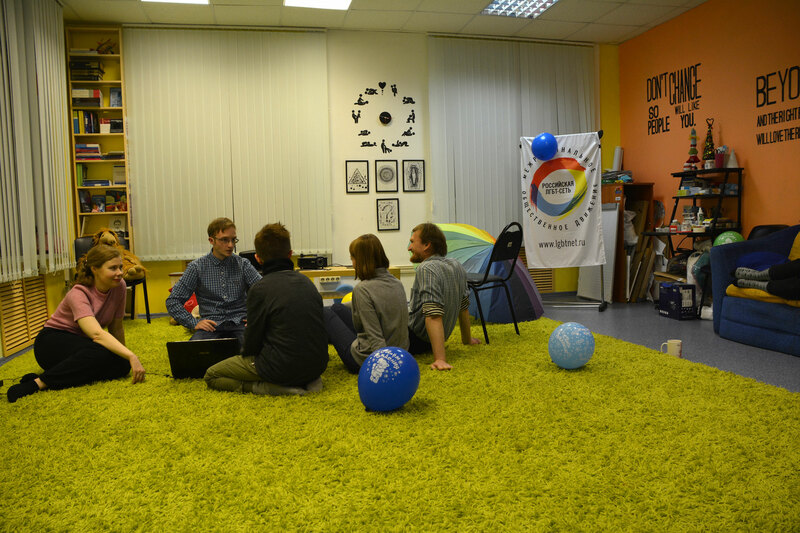 The Rakurs LGBT group was included in the list of «foreign agents» in December 2014 and subsequently got a fine of 300.000 rubles for refusing to accept the label. Today, the group continues its work in the form of a community center in downtown Arkhangelsk. They hold lectures, organise seminars and offer psychological and medical guidance. They have been going on for ten years, it is reportedly the oldest group in all of Russia of the kind. «We just turned ten, and when they have not managed to destroy us in all these years it means that our work is efficient,» says «Valer», a representative of the group. But activities are increasingly restricted. It might be safe inside the small downtown office facility, but on the streets of Arkhangelsk the situation is another. «Today, we work towards our own community, not with an outreach to society, which has become rather problematic,» says «Valer». «Our relationship with the authorities is very difficult, it actually does not work at all. All our requests to hold public events are either not responded or rejected. The same goes for the police, which does not care to bother about our cases». «Especially young people support us, they encourage us to keep up our work», says «Valer». 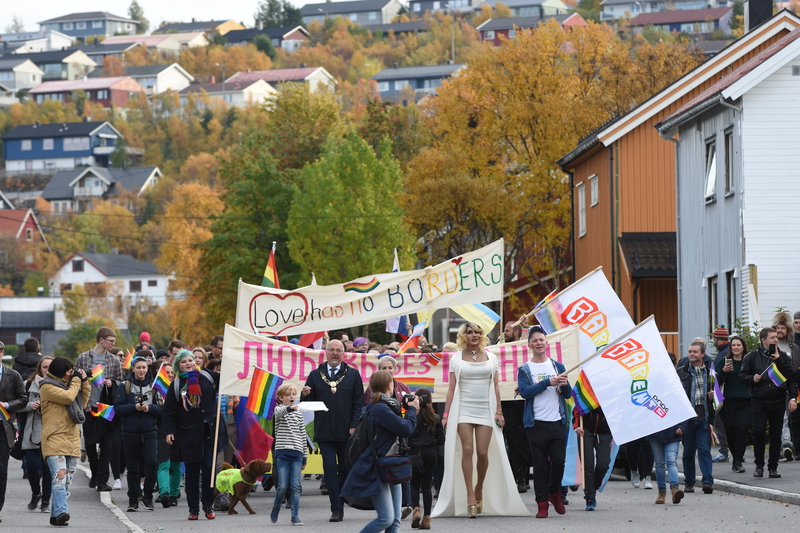 In September, representatives of the Arkhangelsk LGBT group went to Kirkenes, Norway, to take part in the first ever Barents Pride parade. It was a success, and the Arkhangelsk activists are ready to return. «When this event gets bigger and we get 50-50 percent participation form Norway and Russia, also Russian political leaders might open their eyes». The Barents Pride was important and it also opened a ground for discussion about key issues for the regional LGBT community. Among the issues discussed was the possibility to cut visa assessment time for Russian LGBT activists whose personal security is under threat, says Valer. According to «Valer», the community center is the only of its kind in Arkhangelsk Oblast. It is modest, but still better than most other places. There are Russian cities with more than a million inhabitants which do not have such centres, she explains. It would have been great to get the situation of the LGBT communities on the agenda on the Barents foreign ministers, «Valer» agrees. Although she suspects that the Russian side would refuse to take part in such a discussion. You know, in Russia we have the idiom «Gayropa» [«Gay Europe»] and they say that our status as «foreign agent» is because of our «Gayropean» values. «However, if these issues would be addressed repeatedly, not only in one meeting but in a cycle of meetings, then the Russians might ultimately have to look at it», she argues.